When you put Orange Movers in charge of your move, you can feel confident to leave the hard work to us. Our local moving deals in North Lauderdale will get your stuff packed, loaded, shipped, and set up, all without you having to lift a box. Why invest your money and time, when Orange Movers will do it all for practically the same price? Call the Southern Florida movers who have your back at every step of your relocation. When you put Orange Movers in charge of your move, you can feel confident to leave the hard work to us. Our local moving deals in North Lauderdale will get your stuff packed, loaded, shipped, and set up, all without you having to lift a box. Why invest your money and time, when our North Lauderdale Movers will do it all for practically the same price? Call the Southern Florida movers who have your back at every step of your relocation. Let’s learn a few things about North Lauderdale. With a population of around 42,000, the City of North Lauderdale is a perfect place for those who want to make their nest in a tropical paradise overlooking the Atlantic ocean. This town is located in Broward County – the heart of South Florida. A little more than a half of the city’s ethnically diverse population is black, followed by white and Asian people. The median age is 32. More than 50 percent of homes are rentals, the average rent for a one bedroom apartment being $1,230. The average commute time is 28,5 minutes. Currently, the median income is $41,930, while the median home price is $105,300. The median property tax is $1,333. 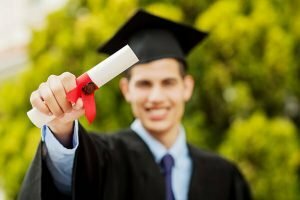 Over 14% of the city’s residents have graduated college. If you have school-aged children, make sure they receive the best education Broward County can offer. You can choose between public and private education. A good school is worth commuting a little longer, so take the whole county into consideration when picking a school. The district has the largest debate program in the US. We could say that North Lauderdale is located in the economic center of the Americas. Take advantage of its thriving economy to build a successful career and a bright future for you and your family. This favorable economic situation helps attract and keep talented workers. Unemployment rates are low, at only 4.6%. Most people work in the service industry, followed by sales and office occupations. Management, science, business, and arts are in the third place. The most popular industries are education, healthcare, social assistance, and retail trade. What to do for fun? North Lauderdale is a great place for outdoor activities such as playing golf, tennis, cycling and having all kinds of fun at sea parks. The city is pretty walkable, so there’s no need to drive everywhere. All in all, there’s no excuse for being in bad shape. In addition, the residents can learn about local history and attend various special events, go to the movies, the theatre or the library. 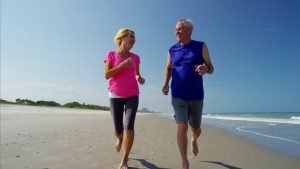 According to statistics, most residents lead a healthy lifestyle. Moving to North Lauderdale is a phenomenal decision. However, moving house is never easy. This complex endeavor consumes a lot of time, nerves, and energy. Fortunately, professional movers can make the moving experience more pleasant for you and your loved ones. Orange Movers Miami have their representatives working across Florida, helping people relocate quickly and safely. If you’re moving to/from North Lauderdale, Fort Lauderdale movers are at your disposal. Depending on how much stuff you are relocating, the move could take weeks, even months. You will be buried in boxes for a long time until everything is packed/unpacked, especially if your friends and family cannot give you a hand. With North Lauderdale movers, the packing process will take a day or two. Thus, you could save an enormous amount of time. Our professional packers Miami also provide high-quality packing materials that protect your belongings during transportation. Your new home/office is not ready yet? There is not enough space for everything? No worries. We also provide excellent storage services Miami. We offer several storage options to fit your needs. Whether you need storage for all your belongings or just a few items, whether you need it for a week or a year, we have a plan. Our units are clean, well-lit, and secure. In case you own sensitive items that cannot cope with Florida’s climate, we also have climate-controlled storage units. Although most people believe DIY relocation is the cheapest option (and it can be), they are proven wrong more often than you think. A much better option is finding reputable and cheap movers in South Florida and letting them do the job. 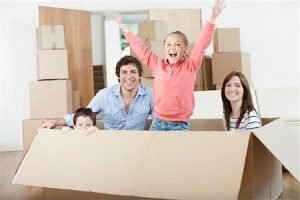 Hire affordable movers working in North Lauderdale to take care of your relocation for the sake of your belongings and your budget. By minimizing the amount of time and material spent on packing and moving, we minimize your expenses. Move to North Lauderdale with experienced North Lauderdale movers. In addition, we provide accurate estimates without hidden costs. Furthermore, we are one of the few Florida movers that have a moving program for senior citizens with special senior discounts. When it comes to our storage services, we offer active-duty discounts, monthly renewal subscriptions, and many other promotions and goodies. Apart from packing supplies, your North Lauderdale movers have the best equipment and moving vehicles. North Lauderdale movers are fully insured and licensed. We are licensed by the Federal Motor Carrier Safety Administration and the Florida Department of Transportation. Every single customer and every single item should be treated with utmost respect and dedication. We value all clients and care about their belongings equally. Tens of thousands of satisfied clients can confirm that. Our professional movers have many years of experience in this industry which guarantees excellent service and no unexpected scenarios. A house may come in all shapes and sizes, but whether you are leaving a studio apartment or 16 room estate, your home is what goes inside. A full service residential move with Orange Movers is more than reasonable. We care for your belongings in the same way you would, at a price that won’t hurt your budget. A commercial relocation can be a big undertaking, and expense, if you don’t have the right movers on the job. Orange Movers has helped countless companies in North Lauderdale get set up in their new locale to rave reviews. We know that you need to stretch your dollars as far as you can, which is why we provide special moving deals for our local business owners. Plasma screen TVs, antique furniture and valuable works of art can all be a burdensome part of your move. Luckily Orange Movers excels at moving items that are challenging on sight. Heavy, large or just plain awkward, our expertise in moving will make sure that all of your precious possessions make it to your new destination. Since inception, Orange Movers has grown a sterling reputation with the customers we have relocated. North Lauderdale residents can’t stop raving about the high quality service and affordable prices of our packages. Over 60% of our business now comes from repeat customers and referrals, which speaks volumes about how our services are valued by the people we have helped with moving their homes and offices. At Orange Movers, we are proud that you entrust us with your valuables and belongings. In turn, we make sure that you know you are our biggest priority. Our professional movers are always friendly and helpful, going out of their way to make sure that you’re comfortable. When you sign on with Orange Movers, you automatically become a part of the family, getting the highest quality in moving services from a crew with the widest smiles you’ve ever seen. And We Haven’t Even Talked About the Free Stuff Yet! Not only do we provide superb moving services, we give you stuff for free. Like ten boxes to pack your things into and a free storage unit for a month. Our local moving deals in North Lauderdale are designed to give you the best value for your money. Don’t be fooled by “do it yourself” trucks or portable storage units in your yard. When you are making a local move in North Lauderdale, it pays to have the Orange Movers experts take control. Sometimes your stuff might outgrow its space, or you decide to completely revamp your office décor. Orange Movers is more than just a fleet of trucks, we have a state of the art storage facility to help meet all of our customer’s needs. Available for both short term and long term contracts, our storage solution provides a safe and secure refuge for all types of situations. Call us now and ask about our environmentally controlled storage spaces in and around North Lauderdale. With Orange Movers you have the flexibility of a moving company that excels at all of your relocation needs. We can take your stuff down the straight or across the country and unload it at your office or in our storage. We are the only moving company in Sothern Florida that offers so much at such low prices. When you’re about ready to make your North Lauderdale move, let Orange Movers take care of all the hard work.